If you could remember few days back the senator representing Kwara south constituency Senator Rafiu Ibrahim blow hot in a press statement through his constituency office over his recall by some group he describe as nuisance. Here is a response from the leader of the group. The coordinator of Kwara South Unity Forum, Comr. 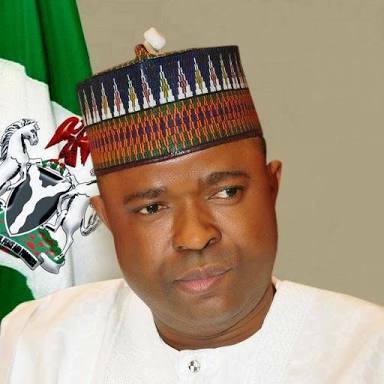 Bamigbola on Friday 11th May, 2018, reaffirm the group's commitment to recalling their complacent senator representing Kwara South District, Dr. Rafiu Ibrahim of the ruling APC. He made this known at the 3rd Edition of Kwara Tabloid's Economic Submit in Ilorin on Friday. Debunking the rumour that the group has been silenced by the Pro Rafiu Ibrahim, he said "even if he was invited for dialogue with the senator, the people of the District whose course he championed, will not allow him". He stressed that the group is being strategic to avoid the repeat of Melaye syndrome. He claimed that the group has completed 25% of the process and will record success in the ongoing battle for the soul of Kwara South.